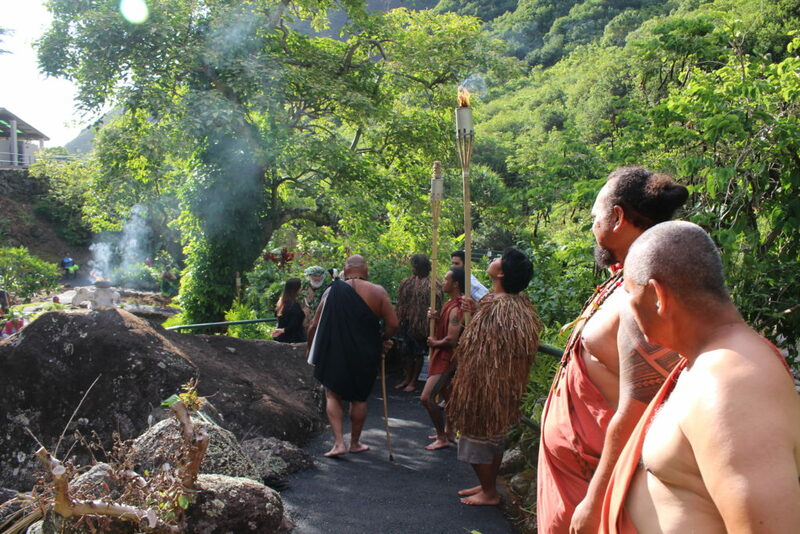 A gathering was held at ʻĪao Valley State Monument today ahead of Saturday’s soft opening to reflect upon the work completed as well as the significance of the storied location. 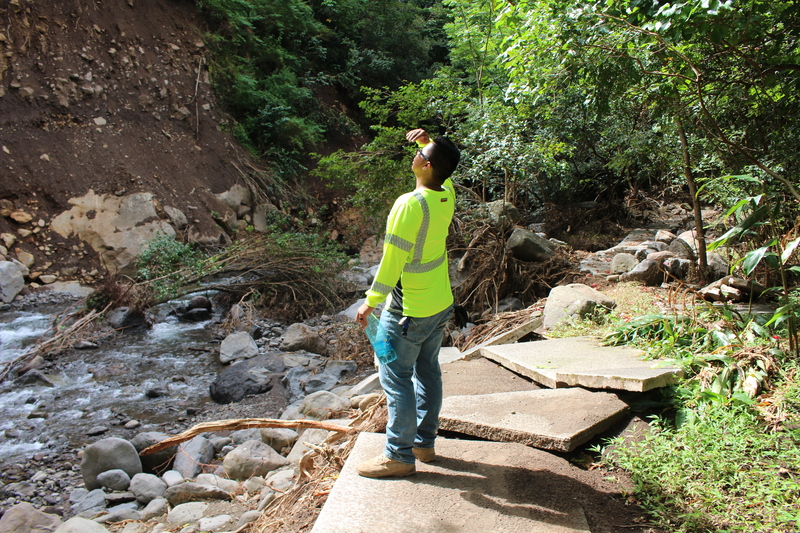 After a nearly year-long closure following the September 2016 historic flood, state crews completed enough remediation work to allow for a temporary opening of the area above the Hawaiʻi Nature Center this weekend. 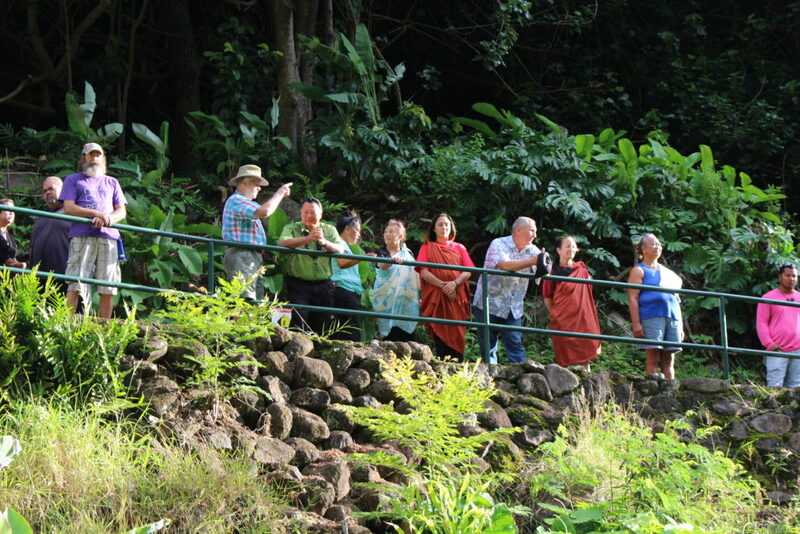 Cultural practitioners took time to reflect upon the history and importance of the Valley as a sacred burial place of chiefs. 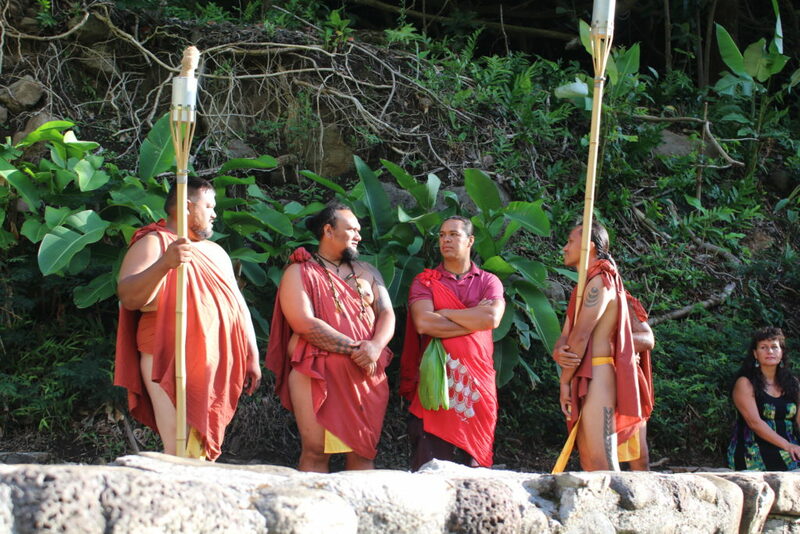 Among those assisting in the protocol was Kyle Nakanelua who led a genealogical ʻōlelo recounting history of the revered place. 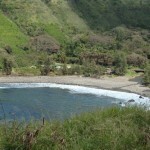 “It is not just a park to come and relax and cool off in the water,” said Nakanelua. “It exists as that, but it’s not only that. Above that area–that playground–is where the holiest of holies still reside to this day. 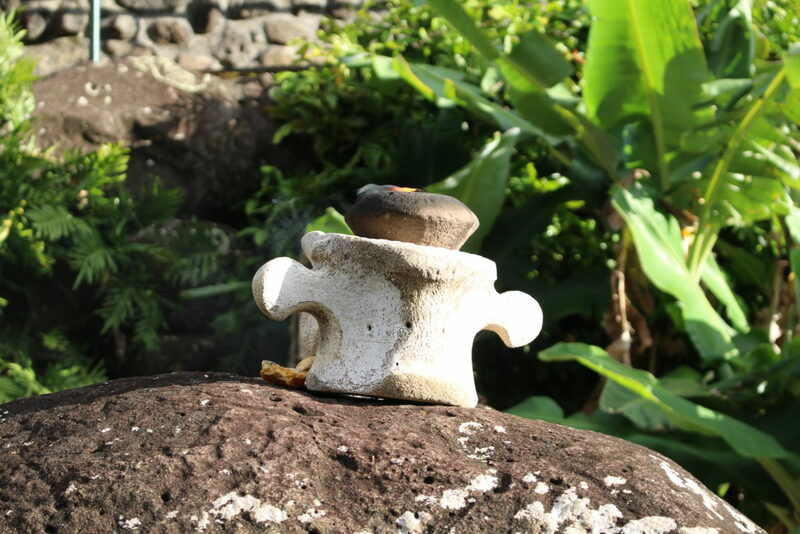 The residuals of the essence of their being–the substance of their beings still exists here,” he said. 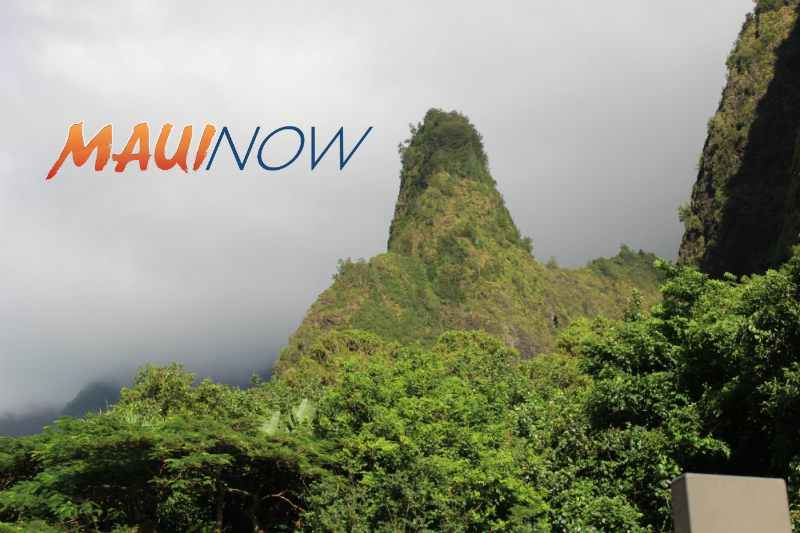 ʻĪao Valley State Monument will be open to the public again at 7 a.m. on Saturday, Aug. 5, 2017, following Phase I of repairs after a severe flood that caused millions of dollars in damage throughout the valley last year. 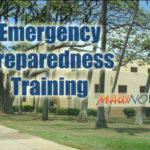 The “soft re-opening” is only temporary until additional required permits are finalized for additional work involving the stabilization of a slope just downhill from the garden area. ʻĪao Valley State Monument will be open from 7 a.m. to 6 p.m. starting on Saturday, Aug. 5, 2017. 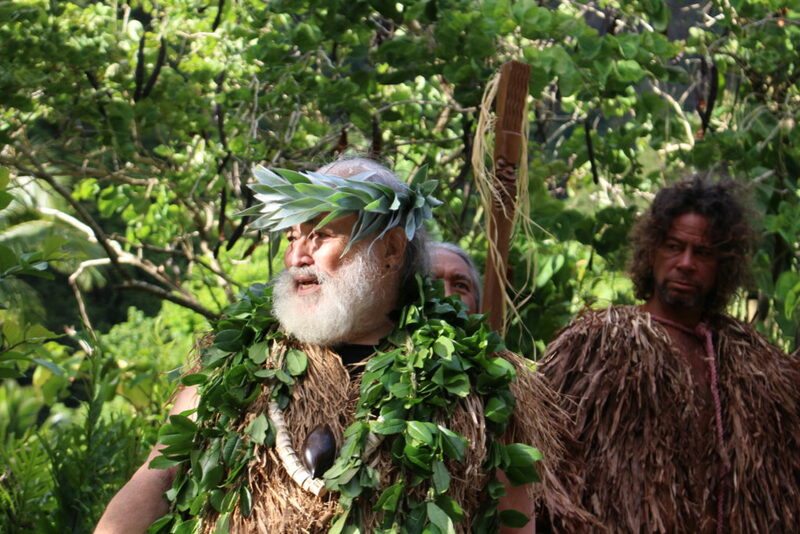 The county’s Kepaniwai Park below the Hawaiʻi Nature Center has been open since April, 2017, after seven month closure. 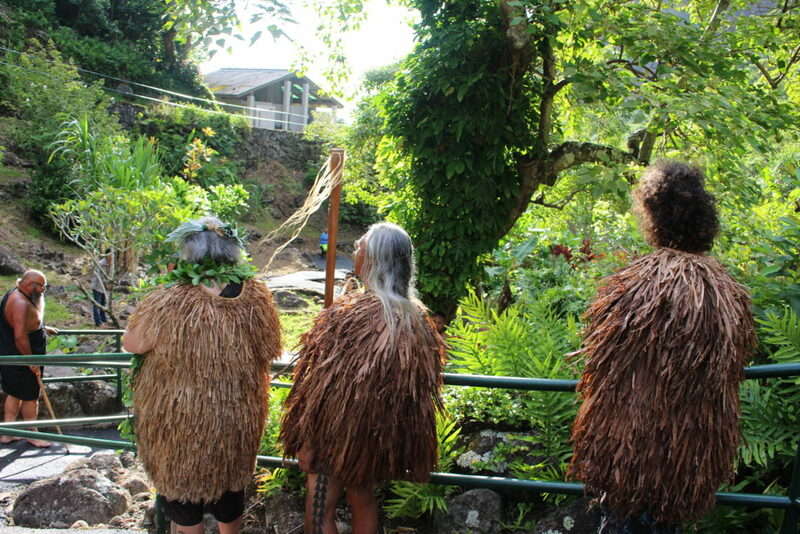 The Kepaniwai hours are from 7 a.m. to 7 p.m.